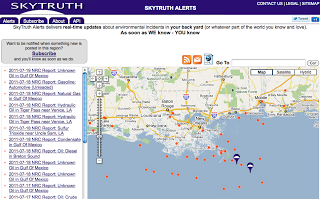 Given SkyTruth’s mission of using the view from space to motivate people to protect the environment, it was only a matter of time before satellite imagery would find its way into our Alerts application. 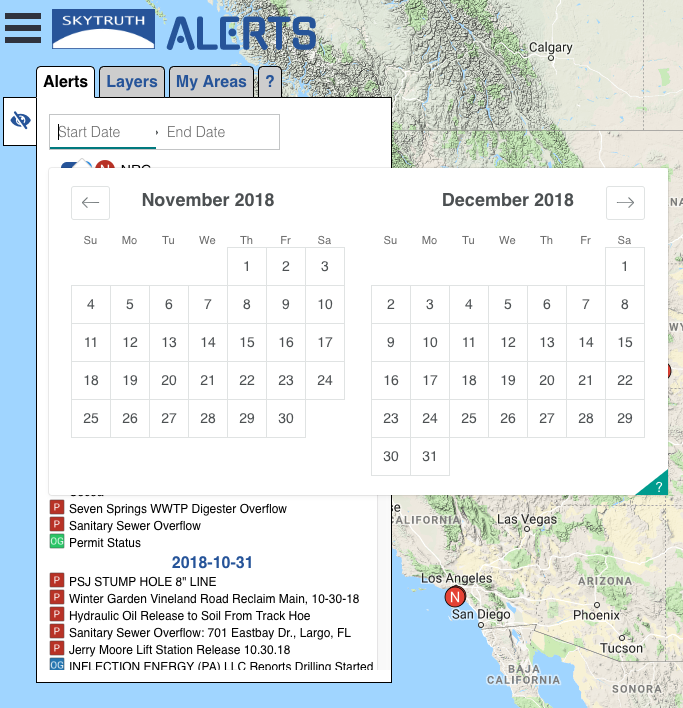 With 2019 comes the ability to visually check out what’s taking place in your areas of interest (AOIs), all inside the same application that notifies you about environmental events in those areas. Newly available imagery in Alerts comes from Sentinel-2 satellites, an Earth observation mission from the European Union’s Copernicus Program. Copernicus systematically acquires optical imagery at high spatial resolution (10 to 60 meters) over land and coastal waters, with new images available about every five days in many areas. The 10m resolution images from Sentinel 2 satellites should work well if you’re searching for new roads, expansion of large disturbance areas, or changes in natural boundaries. But you’ll be disappointed if you’re trying to identify tree cover or the type of vehicle that’s parked in your driveway. In a 10m resolution image, one pixel represents a 10 meter by 10 meter area, so objects will need to be considerably larger than that for any detail to be discernible. 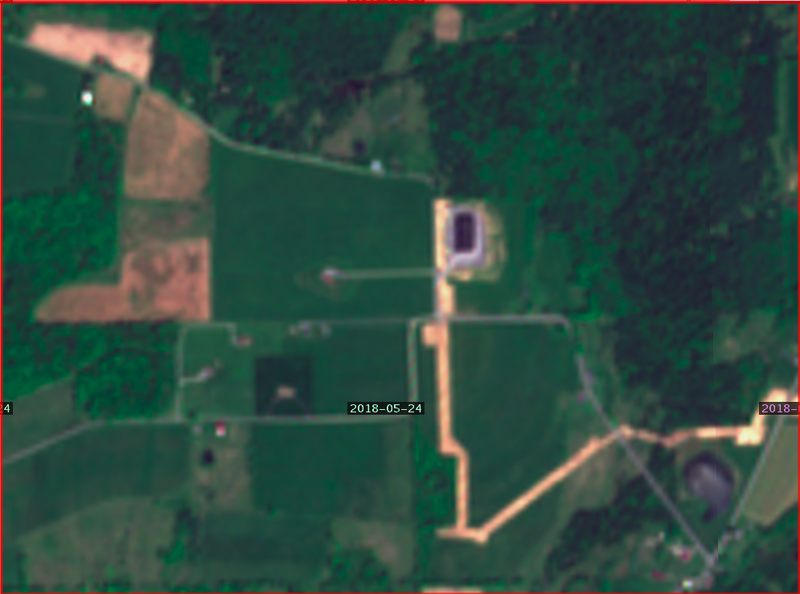 Here are two 10m images over a gas drilling site in Pennsylvania, taken one year apart. Most new features in Alerts require you to login. From alerts.skytruth.org, click on the LOGIN link in the header and follow the instructions. First time users will need to register for a new account. NOTE: If you used our original Alerts, you’ll still need to register for an account the first time. Just remember to use the same email that you used to subscribe to AOIs in the original Alerts. Start by clicking on the My Areas tab. If you’ve already subscribed to an AOI, you can easily select it by clicking on its thumbnail. Or, you can start a new AOI by clicking “Explore a New Area”. 3. 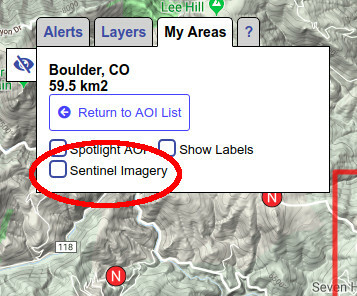 Click the Sentinel Imagery checkbox. Feel free to adjust the cloud cover or enter a date range, then click Filter to change the images that are available. 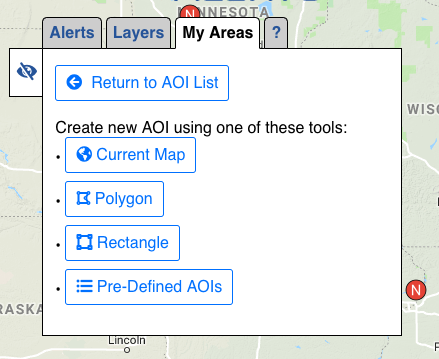 You can remove the alerts markers by, 1) Clicking the Alerts tab, 2) checking/unchecking the alerts you want on the map, 3) Clicking the My Areas tab to return the AOI controls. If you like the AOI you’ve created, don’t forget to click Add this AOI to my list. Use cloud cover percentage as a guidance. This represents the larger satellite image, which may cover substantially more area than your AOI. So it’s possible to have a low percentage of cloud cover and still have your AOI covered mostly by clouds. 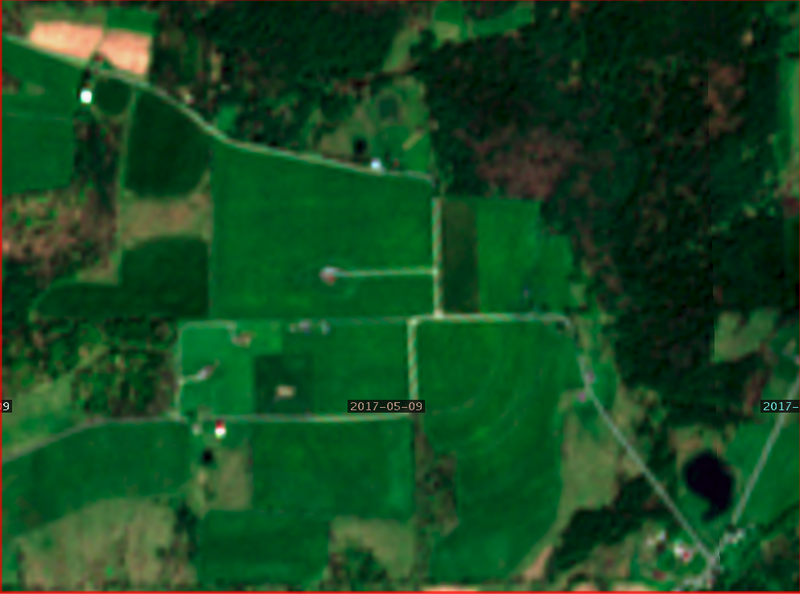 You can add highways, towns, etc., to your image by clicking the Show Labels checkbox. The true color images shown throughout this post are just part of what’s possible with satellite imagery. In addition to the red, green and blue bands that give images their true color appearance, most satellites catch additional bands that can include near-infrared, mid-infrared, far-infrared and thermal-infrared. Identifying landscape patterns and features using combinations of these spectral bands starts with additional processing by various data enhancement techniques, and is often followed by some type of classification algorithm to help understand what each feature or pattern represents. 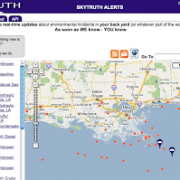 Doing this work is one of the challenges faced by SkyTruth Geospatial Analysts and other scientists around the world. 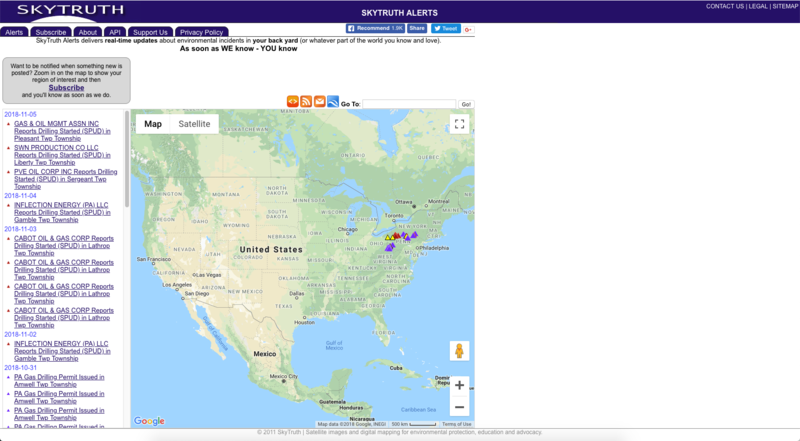 We’d like to know what you think about the addition of Sentinel-2 satellite images to the Alerts system: Will you use this new feature? What does it help you do? How does it fall short? We’re working to make continual improvements to Alerts and we’d love to hear from you! 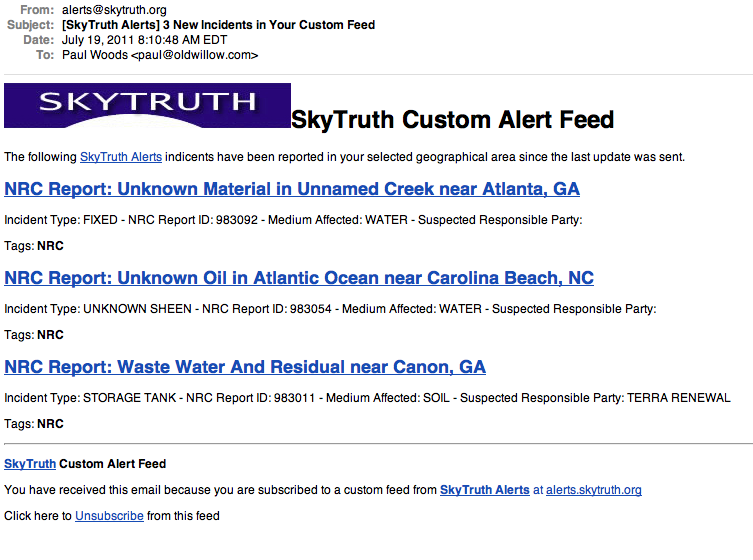 Send us an email at at feedback@skytruth.org. 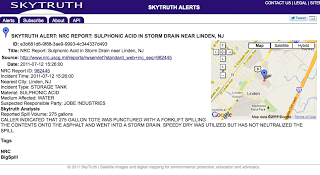 SkyTruth Alerts – Try It! 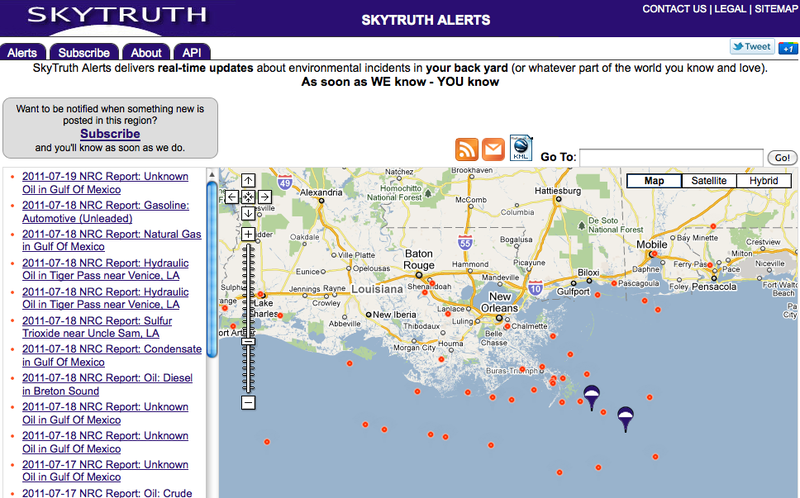 Ever wonder what’s going on in the environment around your home, your school, your favorite vacation spot? Us too: the world is a big place, and it takes a LOT of satellite images to cover it all. 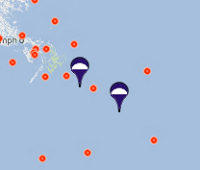 Here at SkyTruth we scour the infosphere for hints telling us where to look, and when. 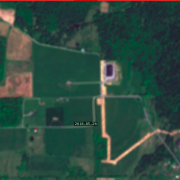 Over the years we’ve accumulated a collection of information sources that we use to decide which satellite images to analyze, and then we use this blog to report our findings and publish our images. We’ve been working on a system to easily share those sources with our partners, and now we’re ready to share it with everyone. 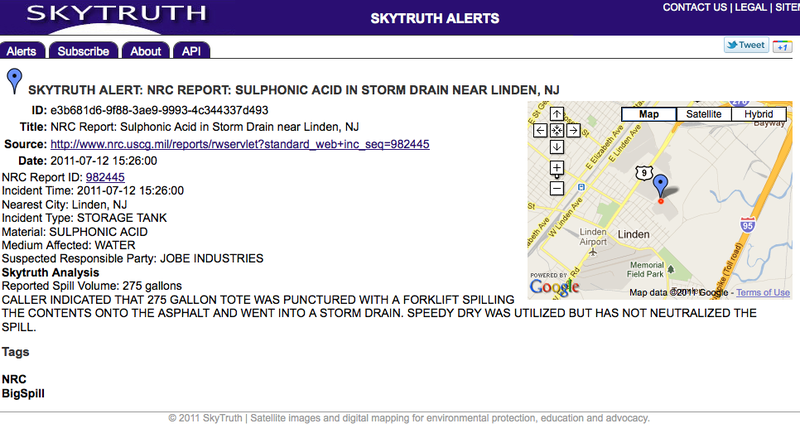 Today we are launching a new service on our website called SkyTruth Alerts where we publish environmental incident reports, as we get (and produce) them. We are starting off the service with reports collected from three sources – focused heavily on oil and gas drilling and related activities in the US. 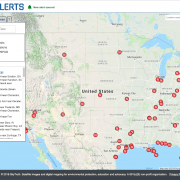 The sources are reported oil and hazardous materials spills from the National Response Center, pollution response and investigation reports from NOAA’s Incident News, and incident analyses published on our own SkyTruth blog. We will add more information sources over coming weeks, and extend our focus to include gas drilling and fracking in the Marcellus Shale. 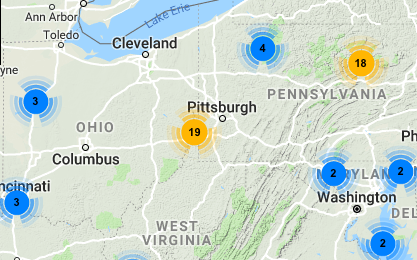 The system works by displaying on a map or in Google Earth the most recent incident reports from all sources for whatever region you are interested in. 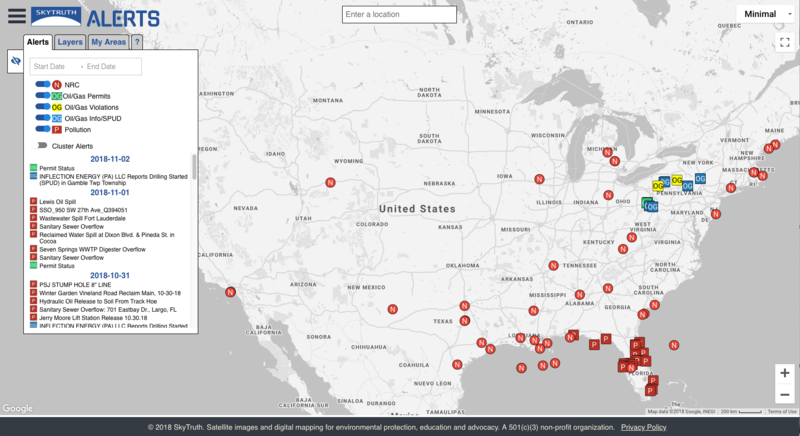 You can browse through the list of incidents geographically on the map, or chronologically in a list. Each incident report identifies the source of the report, the location, and details about the incident. Incident reports are pulled automatically from the various sources several times per day and updated immediately on the website. 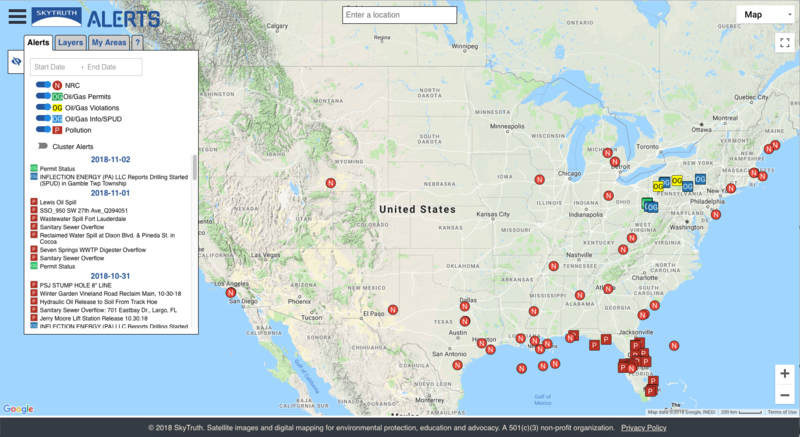 A visitor to the site can type in the name of a city or a street address and go directly to that location to see the recent incidents that have been reported nearby. Of course, no one wants to have to keep returning to a website every day just to see if anything new has been posted, which is why we offer a subscription system that delivers updates within your personally selected geographic area via RSS feed, or straight to your email (you’ll get one “daily digest” message per day). 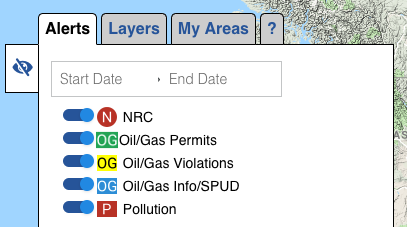 So give it a try to get informed about pollution incidents happening in the places you care most about. 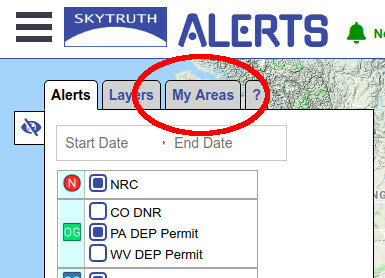 And please let us know what you like, what you don’t, what you wish you could do with the Alerts. We will continually work to improve this system, so your feedback is very important! 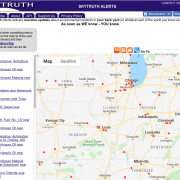 https://skytruth.org/wp-content/uploads/2011/07/SkyTruth2BAlerts2Bscreen2Bshot.png 199 320 Paul Woods /wp-content/uploads/2016/08/test_logo.png Paul Woods2011-07-19 14:37:002019-02-25 11:25:03SkyTruth Alerts - Try It!